A historic and pioneer movement came when state award in ‘Music Excellence’ was declared and presented to none other Mr. Kapil Srivastava, one of India’s leading professional guitarist, and founder guitarmonk, who gave his 15 years into music in diversified domains. The award was felicitated at Delhi Secretariat New Delhi, by Chief Minister, Smt. 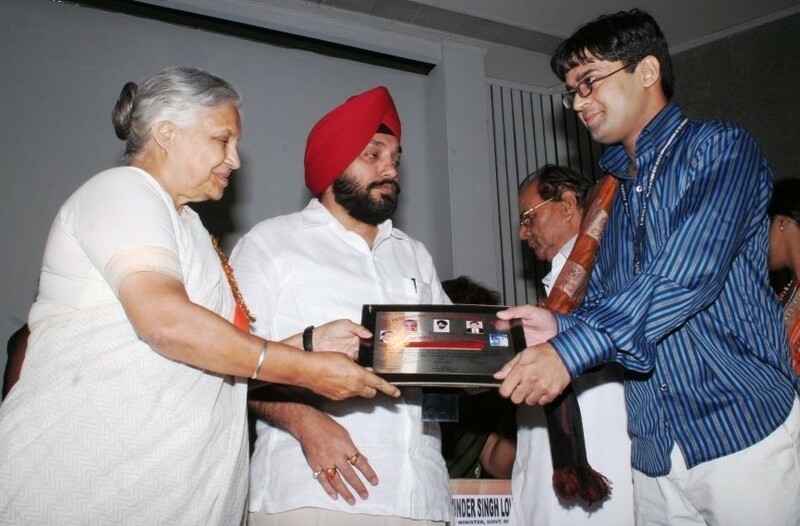 Sheila Dixit along with Chairman, Federation of Public School, Mr. R.P. Malik and Education Minister New Delhi, Dr. Arvinder Singh Lovely and hundreds of Educationists. On the occasion, Kapil Srivastava also performed a musical piece on the stage. Congratulations on your award! I’m a lover of music too, and find your blog an interesting read.